1. The ten baby names you'll see again and again in 2017 via The Zoe Report. 2. If you are a procrastinator, you'll want to listen to this 7 minute podcast to understand why you do it and to break the habit via WBUR. 3. Small, genius ways to save money each week via Self. 4. What the drawer under your oven is actually for via Country Living. 5. Ways to create a workspace that enhances productivity via Enterpreneur. 6. Morning habits of super successful women via Camilla Styles. 7. Easy ways to be your best self via Man Repeller. 8. 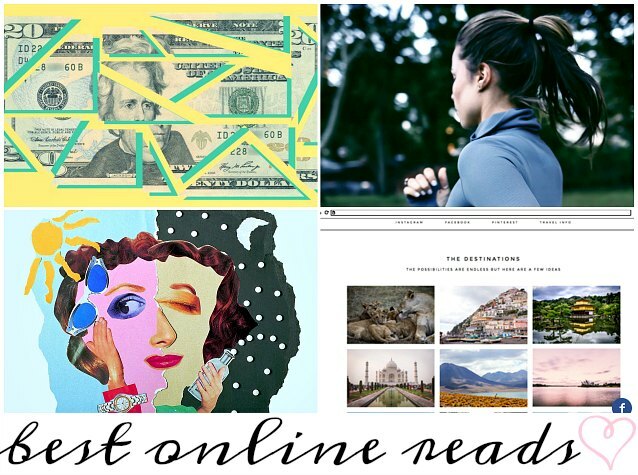 The best travel sites you've never heard of via Refinery29. 9. What 7 interior designers bought at IKEA with $100 via My Domaine. 10. How poor childhood nutrition can affect lifelong health via The Huffington Post.